Under-mount or top-mount kitchen sink, single bowl, made of premium 18/10 stainless steel material, in copper finish. Spacious and deep bowl with 15 degree radius corners. 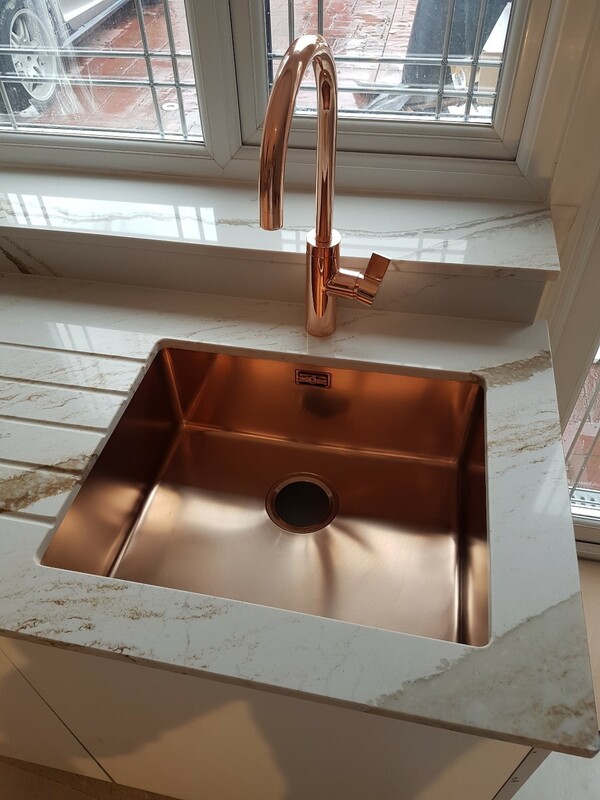 Matching Copper Kitchen Taps available. Perfect match with Nivito RH 350 Brushed Copper Tap. 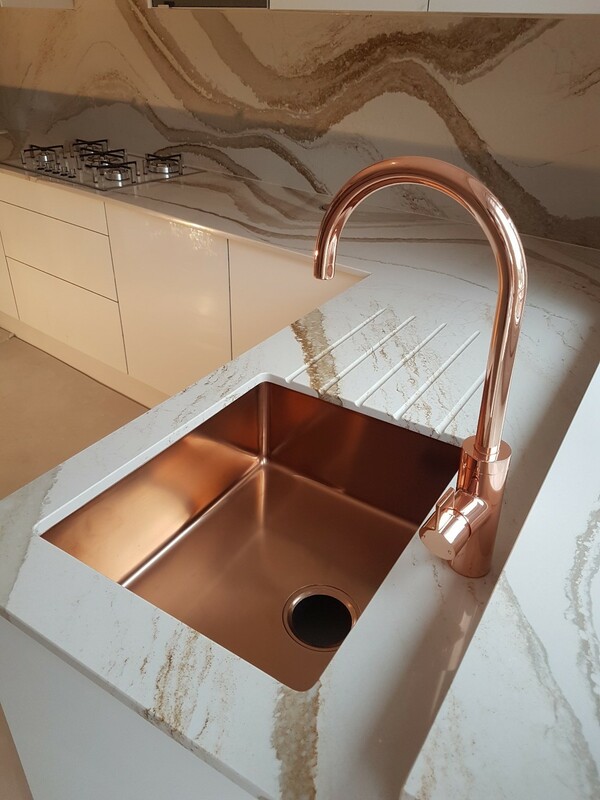 I contacted Olif after seeing the stunning Alveus sinks. They come in slightly different shades of PVD coating so I went to hand pick my sink. Olif were very accomodating and patient, unwrapping a number of sinks for me to inspect! Finally it is installed and I LOVE it! Needs a little TLC to keep it looking fab, but it is definitely worth it. Highlight of my new kitchen!